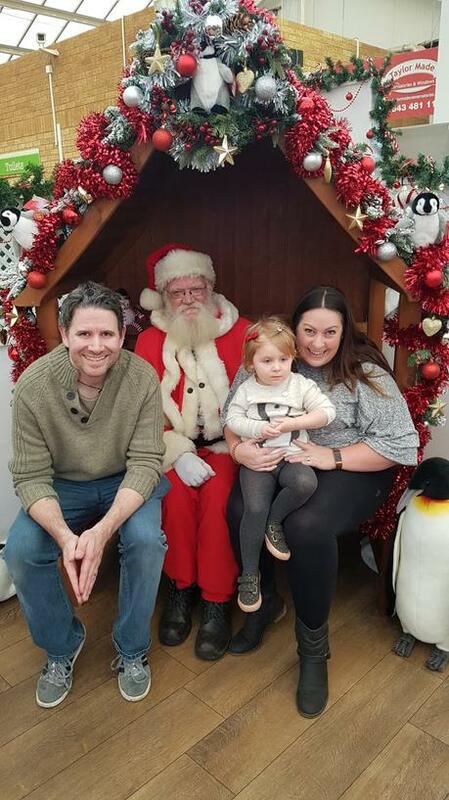 I've been really excited about Christmas this year, we' ve recently moved house and got a lovely new kitchen to cook in and Imogen is just starting to really understand a bit more about Father Christmas, and certainly now gets the concept of presents! 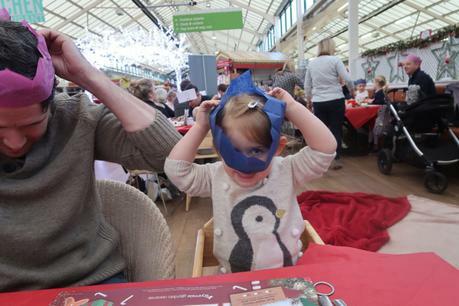 I've been really looking into different festive activities, so we were really happy to be invited to try out the Breakfast with Santa events at Wyevale Garden Centres. 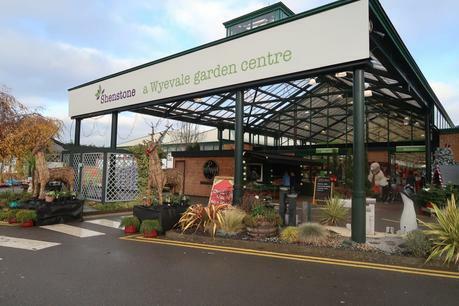 Our local Wyevale is in Shenstone, about a 15 minute drive away and we know it well. 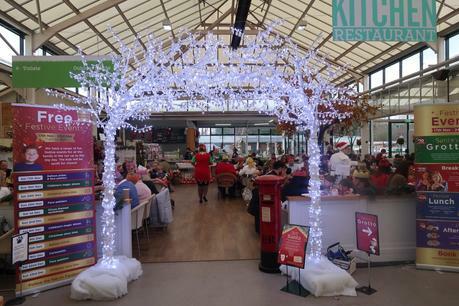 It's a lovely garden centre with lots to look at, a great Cafe and little soft play too. It wasn't long at all before all the breakfasts were brought out and there was a steady flow of hot drinks and toast too. All the kids then gathered round Santas grotto and waited to Santa to arrive on his sleigh! After a little chit chat with Santa it was time to meet him individually and ask for that all important present! There were no tears this year from Immy, but she remained stony faced!! She did however love her alphabet floor puzzle that she chose from his toy shelves! The event went really smoothly and at no point did we feel like we were waiting with nothing to do or feeling rushed which was great. The tickets are £10.95 for a child, which I thought was pretty good value for the event and quality of gift. Adult ticket prices vary, and depend on your choice on breakfast when booking, but range from about £5-£9. If you would like to book tickets for the Breakfast or Tea with Santa then they are still available here !